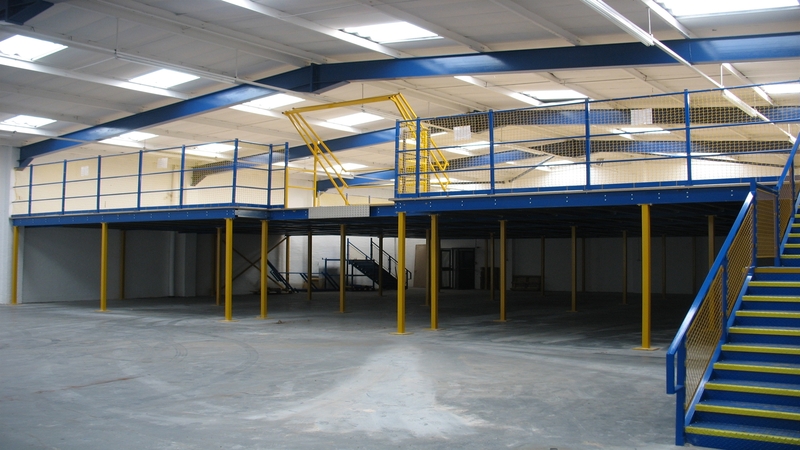 Consider what a mezzanine floor could add to your business. New retail sales/display area. Or more room for back-of-shop storage. Or simply space to expand your business in the premises you already have. to talk to one of our experts. You can confidently leave the design, supply and installation of your new mezzanine floor in Hi-store's experienced hands. We'll take care of the whole process including all the issues surrounding building regulations. With fast, clean installation and minimum disruption, your premises can take advantage of wasted space above you - which you're paying your rates for - so business can literally look up. 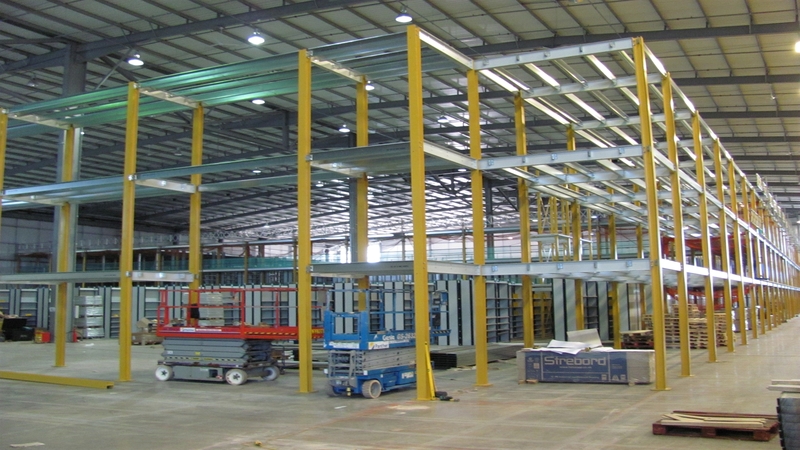 Mezzanine floors are being used more and more in warehouse and distribution centres to make the most of valuable unused space. They can also expand the usable space within retail units, creating larger sales and storage areas on various levels. Made to your size and material specification, they're a real alternative to the upheaval and expense of rebuilding or relocating your premises. Fill in the quick form below and one of our expert Hi-Store team will get in touch with you via a contact method, and at a time and day, of your choosing. “Hi-Store acted as the lynchpin for the project, working closely with Homebase, architectural design consultants, structural engineers and the main shop fitting contractors. Homebase's image and products are all important and the mezzanine floor is cleverly integrated into the existing building design."